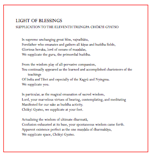 At the request of Lady Könchok Paldrön (Sakyong Mipham Rinpoche’s mother), Dilgo Khyentse Rinpoche composed the following supplication to Trungpa Rinpoche. Thank you to the Nalanda Translation Committee for making this supplication available. 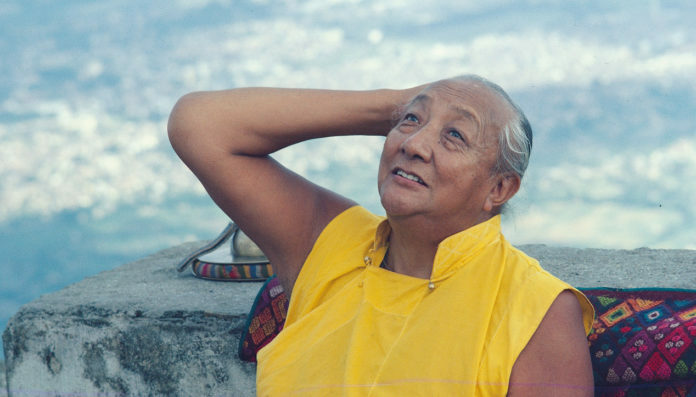 Dilgo Khyentse Rinpoche, mahateacher, archetypal spiritual guide, an important teacher to Trungpa Rinpoche, was born in 1910 in Eastern Tibet and recognized as a tulku while still in his mother's womb by Mipham Rinpoche. He was later enthroned as an emanation of Jamyang Khyentse Wangpo, one of the most important tertons and writers of 19th century Tibet. 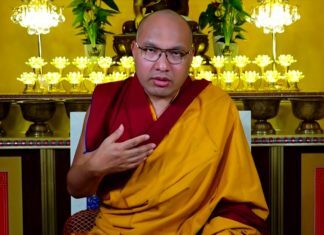 Khyentse Rinpoche's visits to the West in the 1970s and 80s had a profound effect on the students of Trungpa Rinpoche who naturally formed a heart connection with this great being. 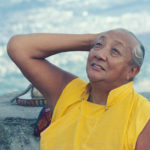 I think it's safe to say that for all students of the Vidyadhara, the connection that we feel with Dilgo Khyentse Rinpoche is beyond words.